In the context of the Black Lives Matter movement, and the country’s recent focus on youth violence, police brutality, poverty and marginalized communities, We All We Got is an elegy of urban America. The film is an intimate portrait of people affected by violence: including community activists, kids, and cops. It navigates the tragedy and persistence of families impacted by violence. , the perseverance of affected families, and the outpouring support of local leaders and residents who highlight these social issues in Chicago. Director Carlos Javier Ortiz and executive producer Tina Sacks attend the 'Treasure' and 'We All We Got' screenings during the 2015 Los Angeles Film Festival at Regal Cinemas L.A. Live on June 13, 2015 in Los Angeles, California. 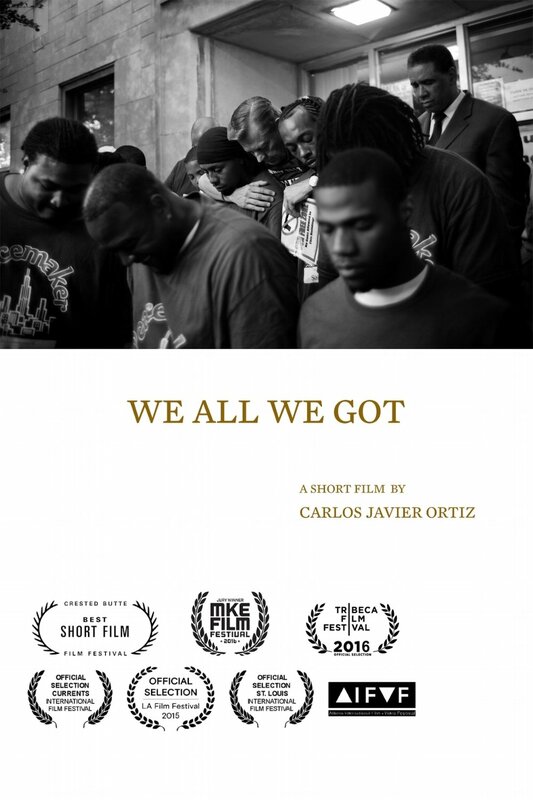 We All We Got– USA (DIRECTOR Carlos Javier Ortiz) The poetic language of the streets: police helicopters; music popping out of cars; ambulances on the run; preachers hollering for the violence to stop after another young man is senselessly gunned down in the streets of Chicago.